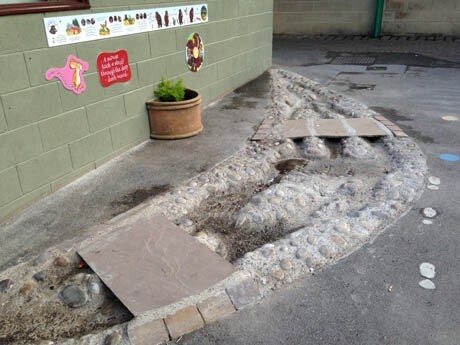 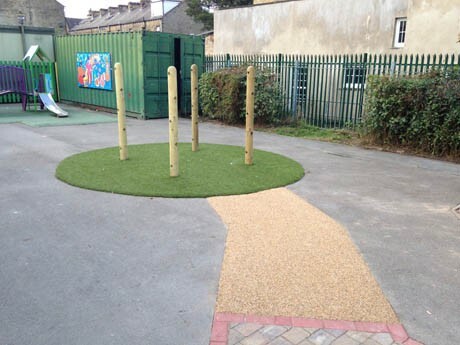 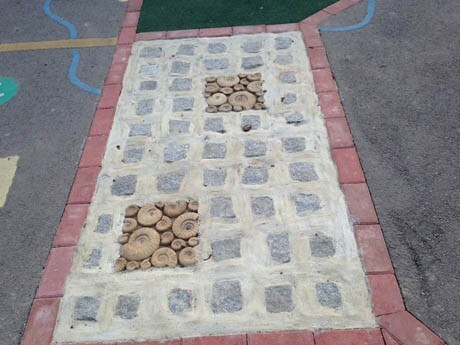 The existing Early Years playground was a simple area of tarmac in a narrow strip with no playground activities in situ. 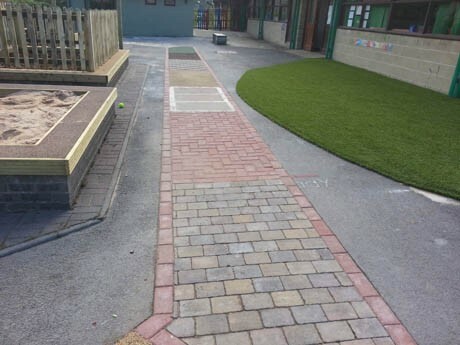 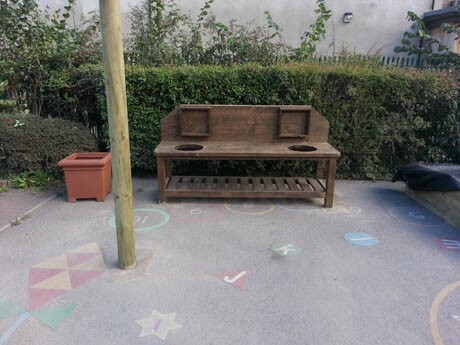 The design team at Pennine Playgrounds took great pride in transforming this rather numb area into a fantastic Early Years learning environment, using the existing area carefully to maximise play space whilst providing some fantastic playground features. 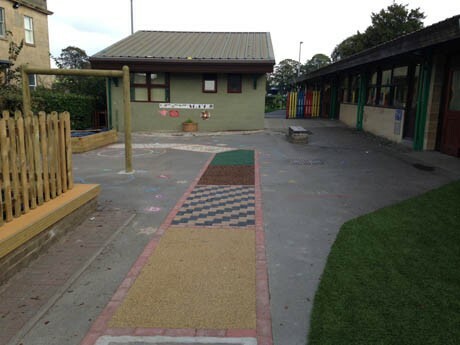 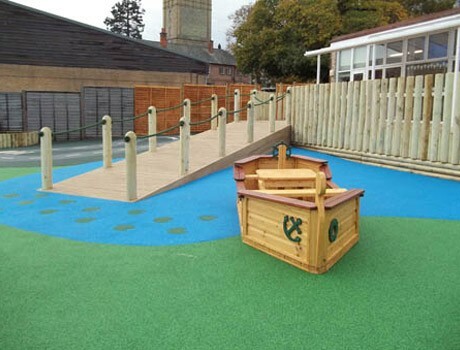 There is a multi coloured sensory path which leads through the varying new playground activities with different textures included. 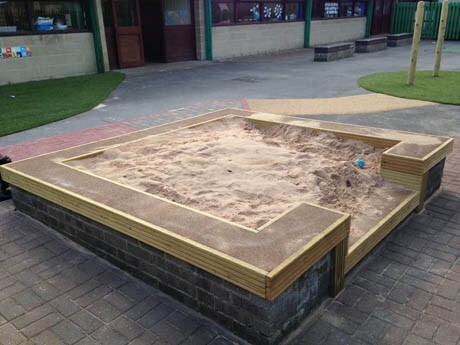 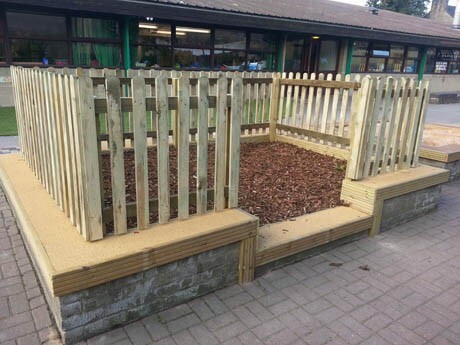 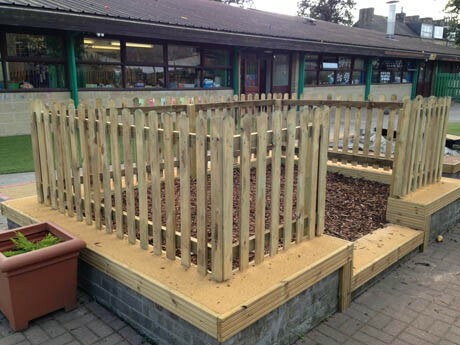 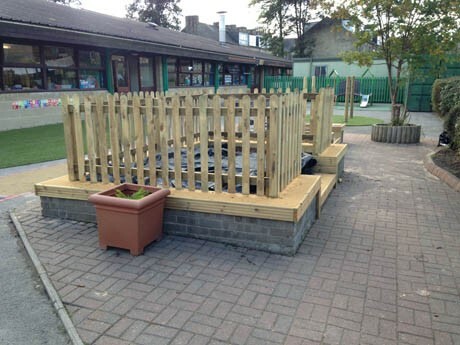 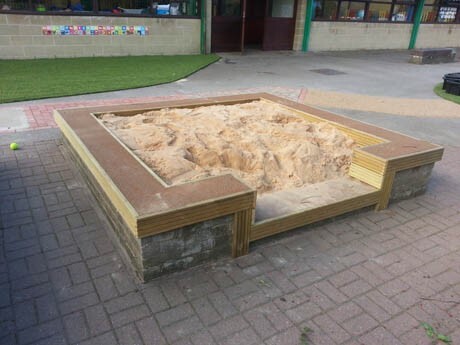 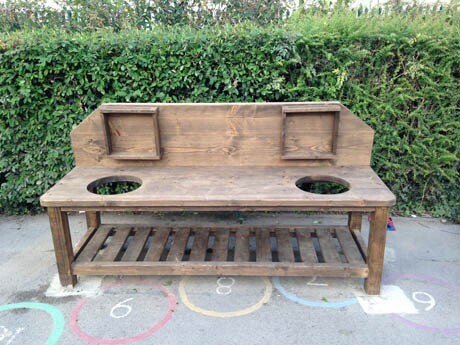 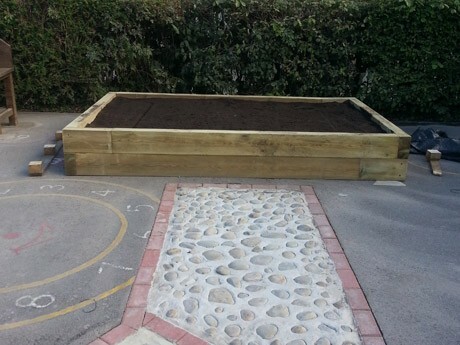 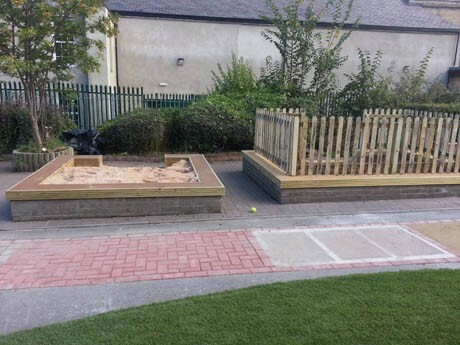 The two existing unattractive and overgrown planters were transformed innovatively into a raised sand pit and digging pit, both of which were reconfigured, providing a smooth sanded timber surround to prevent splinters. 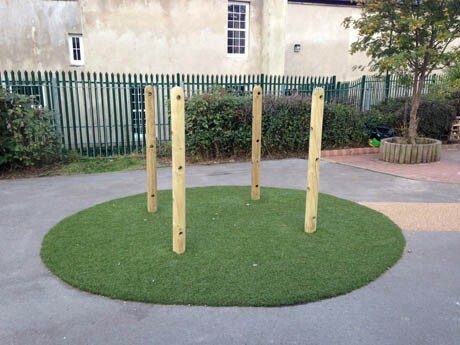 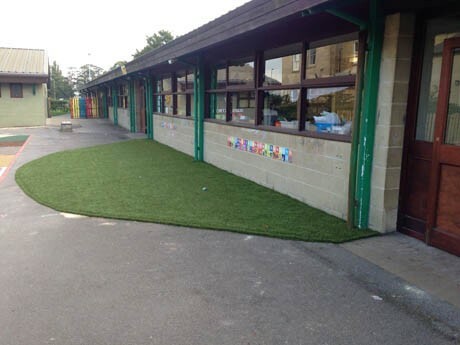 The new semi circle of artificial grass is a multi use play area, alternating between a quiet seating area, story area, PE area depending on the day’s curriculum led activities. 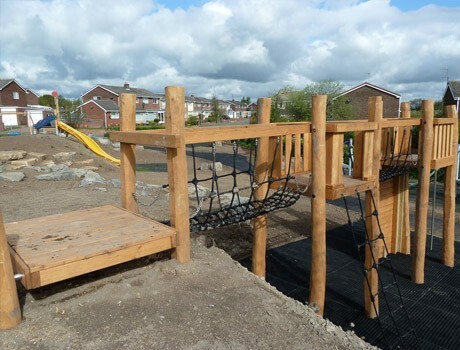 The most successful new addition to the Early Years Playground is the bespoke puddle path, which is engineered on site following the contours of the existing ground to provide provision for water play.